Hair Loss Treatments | Online Pharmacy UK | PostMyMeds Ltd.
View our range of hair loss treatments. 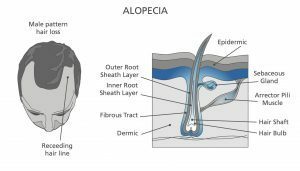 Androgenetic alopecia in men, also known as male pattern baldness, is estimated to affect around half of all men by the age of 50, usually starting in the late twenties or early thirties. Male pattern baldness presents with. It usually presents with receding of the hairline, followed by thinning of the hair in the crown and temple regions, leaving hair at the back and sides of the head to be presented in a horseshoe shape. Although there are different types of hair loss, male pattern baldness is the most common type. It is usually diagnosed upon appearance and pattern of hair loss. On average, hair growth usually occurs at a rate of about 1 centimeter each month from hair follicles located under your skin. The single scalp hair usually goes through alternating growth and rest phases every 2-4 years before falling out and allowing new healthy hair to grow. This cycle repeats and it is normal for you to lose scalp hair everyday. Male-pattern baldness is hereditary, and is thought to be caused by oversensitive hair follicles, linked to having too much of a certain male hormone dihydrotestosterone. Other forms of alopecia and hair loss may be caused by various reasons including stress and medication side effects. What treatments are available for Male Pattern Baldness? Minoxidil – a medication available as a scalp application from most pharmacies. It may stimulate hair growth in a small proportion of adults, but only for as long as it is used. 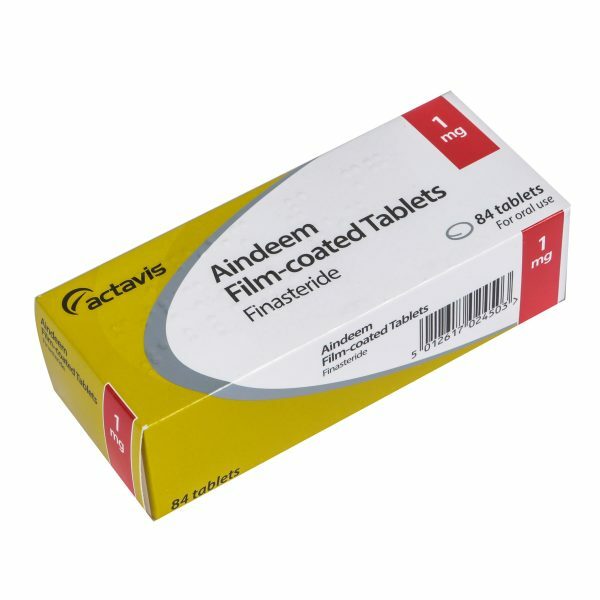 Finasteride – a highly effective medication, available privately for the treatment of symptoms in the UK. 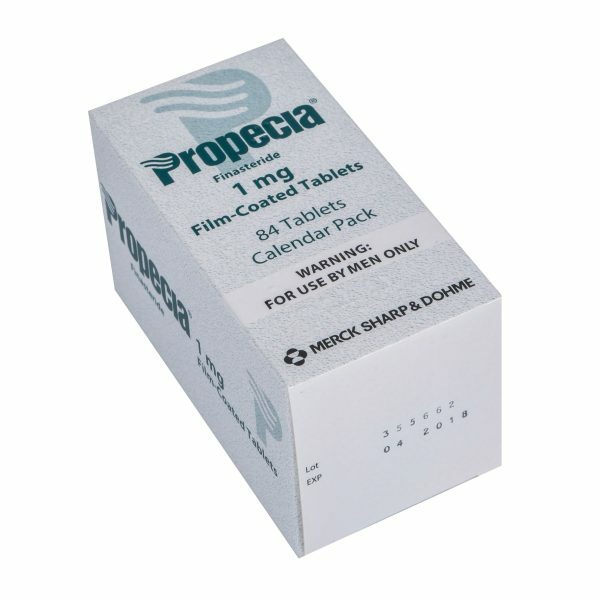 This medication has been proven to be effective in increasing hair growth and preventing further hair loss.